Welcome to Cheboygan Area Schools! Cheboygan Area Schools serves approximately 1700 students living in Cheboygan and surrounding area. The community supports cultural activities, service clubs, civic organizations and a community college. 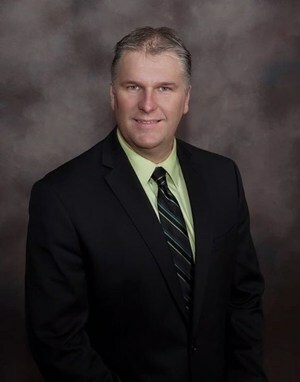 As Superintendent of Cheboygan Area School District, I welcome you to our new website and to our district. Cheboygan schools has a long tradition of academic excellence, coupled with a strong commitment to the success of every student. The Board of Education’s mission is to provide all students with programs of excellence that instill a passion for life-long learning, while preparing them for the ever changing world. We are committed to preparing our students for their future by providing high-quality, well-rounded educational programs. As you know it is hard to predict the future, so it is essential that we support our students in developing the knowledge and skills that will guide them on their journey as lifelong learners. As community members and parents you are critical partners in the education process of our students. They say it take a village to educate a child and we believe this is true. We appreciate and value the trust that parents have placed in our staff and we accept the responsibility of ensuring that all students graduate college and career ready. We are committed to instill in each and every student the knowledge, skills, and attitudes to ensure many different paths to a successful future. Our number one priority will always be the success of each and every student that attends Cheboygan Area Schools. We are very proud of the hard work and dedication of our staff, but recognize that success requires continuous improvement. We cannot live in the past if we are to prepare our students to change the future.